As is the case at the inevitably unpredictable Talladega Superspeedway, Sunday’s 1000Bulbs.com 500-miler provided a surprise ending and for several season-long championship contenders – an uncertain Playoff situation. The last few laps changed the fortunes of teams generally expected to blaze through at least the opening rounds of Playoff competition. 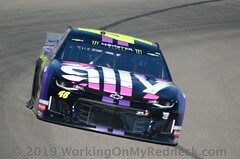 Yet when Talladega’s checkered flag flew, some of the sport’s biggest names were left teetering on the brink of championship elimination as the Monster Energy NASCAR Cup Series heads to Kansas Speedway for Sunday’s Hollywood Casino 400 – the final race to set the Round of 8. Brad Keselowski, a three-time race winner who dominated the end of the regular season and then won the Playoff opener, now sits on the outside of the Playoff’s cutoff heading to Kansas this weekend. He was seventh in the championship standings before Sunday’s green flag and left the race in ninth place, 18-points behind eighth-place Martin Truex Jr.
Keselowski’s Team Penske teammate Ryan Blaney – who just won in the opening round of the Playoffs at the Charlotte Road Course – is right behind in the standings, 22-points behind the cutoff. Kyle Larson, who many predicted in the preseason would be among the Championship 4 at Homestead-Miami vying for the big trophy, is now in 11th in the Playoff standings. Even after salvaging an 11th-place finish in a challenging afternoon at Talladega, the Chip Ganassi Racing driver is 26-points behind Truex and likely needing a victory to advance. 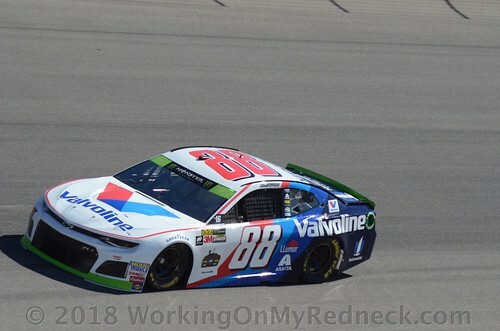 First-year Hendrick Motorsports driver Alex Bowman finds himself in the most precarious position – a full 68-points out of eighth place and absolutely needing to score his career first win at Kansas. Larson’s race ended in stark reversal to Keselowski, Blaney, and Bowman. All three had run near the front for much of the afternoon. 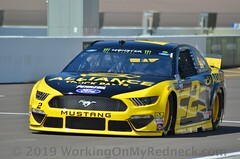 Keselowski – with five victories the winningest driver in the field at Talladega – led 21 laps and his teammate Blaney led five. Fuel gambles that didn’t pan out for either driver, gave both disappointing finishes of 27th (Keselowski) and 29th (Blaney). 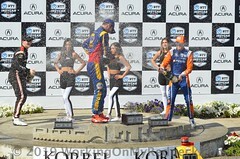 And Bowman got caught up in the more typical Talladega late race game of car ping-pong. 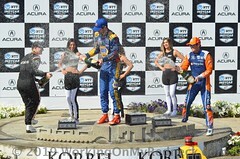 “Really disappointing way to end our day,” Blaney said. “We didn’t have the fastest car today, but we were in a good spot before the caution came out. Kansas will certainly determine the fate of these four – several of which are genuine and perennial Playoff favorites. Keselowski won at Kansas back in 2011 and has four top-10 finishes in his last seven races at the 1.5-miler. He was 14th earlier this year and 13th in last year’s Playoff race. Blaney has two top-five finishes in the last three races at Kansas, including a third place in the Playoff race last year. 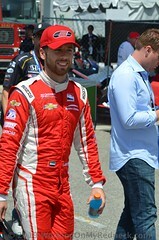 He started from the outside pole position earlier this year and led 54 laps before being eliminated in a crash. Larson has two top-five finishes in nine Kansas starts and led 101 laps en route to a fourth-place finish earlier this year. A gut-wrenching engine problem early in last year’s race (Lap 73 of 267) robbed the then Playoff favorite from advancing to the next round. Bowman, who ran up front Sunday but was eliminated in an accident, has one top-10 finish at Kansas, a seventh-place earned in last year’s Playoff race when he was substituting for Dale Earnhardt Jr. at Hendrick Motorsports. No doubt Sunday’s race will go down as a game-changer for many. Truex, the reigning Monster Energy Series champion whose four wins early in the season earned him a position among the “Big 3”, dropped from third to eighth place in the standings in one frantic Talladega weekend. 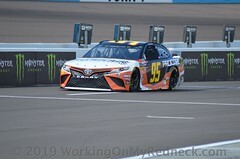 While the trajectory of Bowyer’s finish moved him from below the cutoff line in 10th in points to sixth – with a 21-point cushion – heading to his home state track. And Sunday’s winner Aric Almirola automatically catapults from the brink of elimination – he was ninth heading into Talladega – to an automatic pass by virtue of the victory. In the last three Kansas races, Truex has two wins and a runner-up. He won this spring. Keselowski finished runner-up, Blaney was fourth and Larson was sixth. “I think that’s a good place (Kansas) for us even if we had to win,” Truex said. “I am not saying we’re going to go there and win. But anytime we can go to any of those (1.5-mile) tracks, I feel like we have a shot.